In our hearts, we all know that in times of grief and mourning there is simply nothing that can be said. Still, throughout the ages, people from every place on the earth have, like you and I, wrestled with the reality of death and loss. Out of this struggle, prayers, stories, poems, and wisdom teachings have arisen that traditionally have brought comfort and peace to the soul. In A Time to Mourn, I have brought together a small collection of sacred writings to share with you. 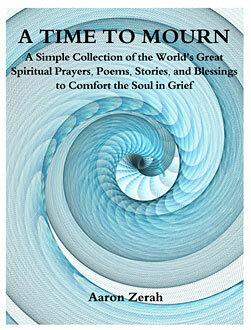 My prayer is that this book may be a blessing to you and all with whom you share it.